What financial support do I need? Businesses (even small businesses) need to keep track of their costs and cash flow. Ensuring your finances are handled correctly in terms of recording, reporting and processing data can be the difference between success and failure. On the face of it, this may sound pretty simple. And for some businesses it is. However, trying to do it on your own could be time-consuming and costly if you need help to correct errors in the future. In principle, financial support comes in two forms – bookkeepers and accountants. The confusion comes because both roles are involved in the finances of a company. 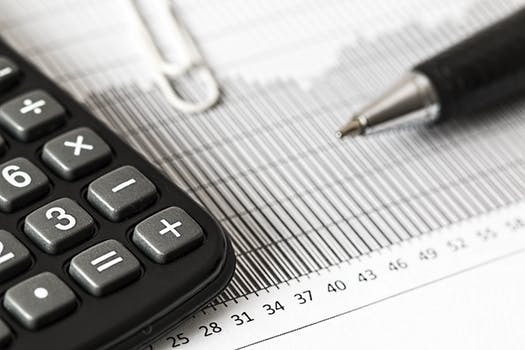 But in the simplest terms, an accountant is a financial expert who is qualified to provide you with advice on all monetary areas of your business. A bookkeeper can help you process and record your financial information. A bookkeeper will record what the company has coming in and out. They keep records of the business’s day to day transactions. This might include purchases, sales, receipts and payments. It is likely that this is done through a software programme such as QuickBooks, FreshBooks or Xero. An accountant looks at the big picture. Ben Eley, Partner at Barnett Ravenscroft, says “We look at the big picture. Interpreting a businesses finances in order to help to predict and optimise for the future. An accountant will validate the data available (often entered by the bookkeeper) and analyse the information to enable reporting and audit. Accountants can prepare financial records, tax returns, balances sheets and profit and loss accounts. This analysis can assist in future planning, forecasting and identify risks and opportunities. So whether you are managing your own bookkeeping or outsourcing this role, an accountant can offer a different level of expertise to assist in the success of your company.